The notion of drones delivering packages is far from an automatic winner with American consumers, a new study finds. Americans like the idea of one-hour delivery but are concerned about the stability and safety of autonomous deliveries. "If the U.S. 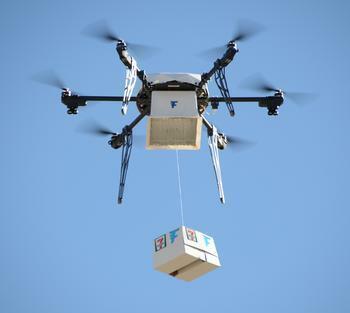 Postal Service intends to consider the option of incorporating drones into its operations, tracking the public’s rapidly evolving perception of this new mode of delivery will be essential to shaping the groundwork of Postal Service’s strategy. "Though it will still take a few years for the technology to mature and the regulatory framework to emerge, proactively examining the concept could allow the Postal Service to better assess its operational feasibility, fundamental economics, regulatory compliance, and social implications." The survey was conducted among 1,207 U.S. adults and found that the majority (75%) expect to see drone delivery within the next five years. Opinions about drone deliveries are highly mixed, however. Almost half (44%) of consumers say they like the idea of drone delivery, but almost as many (34%) dislike it. Nearly a quarter (23%) said they are neutral. Not surprisingly, opinions vary by age. Most (65%) Millennials said they like the idea of drone delivery, whereas fewer than a half (46%) of Generation X and fewer than a quarter (24%) of Baby Boomers said so. Those who previously knew about drone delivery were likely (75%) to like the idea, whereas those who had never heard of it before were skeptical (52%). Most consumers (70%) associate drone deliveries with Amazon. Google is next with 19%. Amazon was rated as the most trusted brand for making drone deliveries while Google was ranked as the least trusted. UPS, FedEx, and USPS ranked second, third and fourth, respectively. At the moment, this is all still theoretical, since FAA regulations limit most unmanned drone flights to line-of-sight, but completely autonomous flights are expected to become commonplace within the next few years. Would you pay for one-hour drone package delivery?